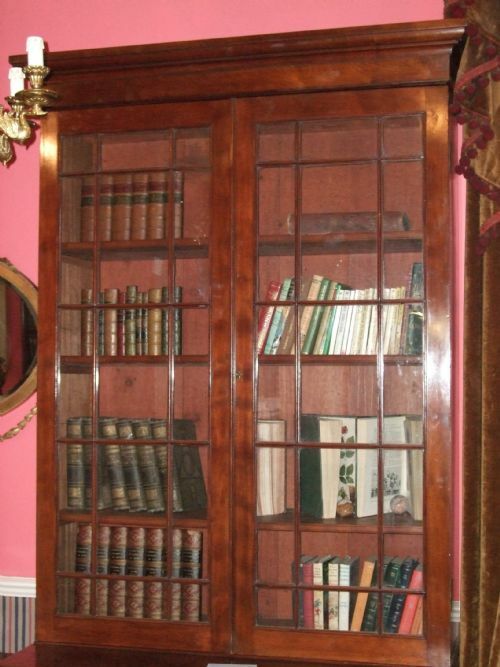 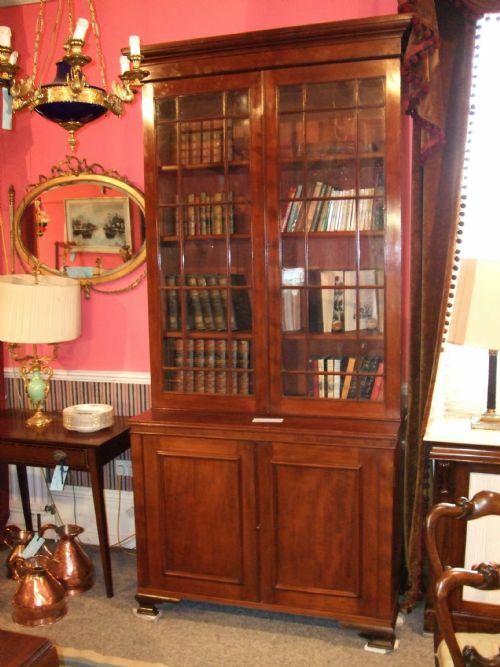 Mid 19th Century Mahogany Glazed Bookcase with Cuboards Below & Adjustable Shelf. 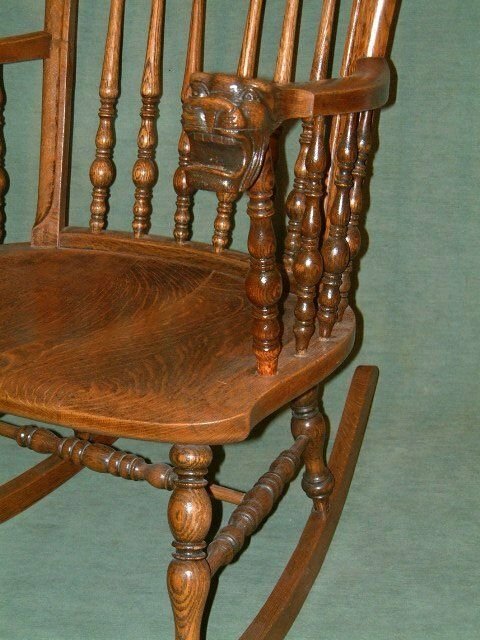 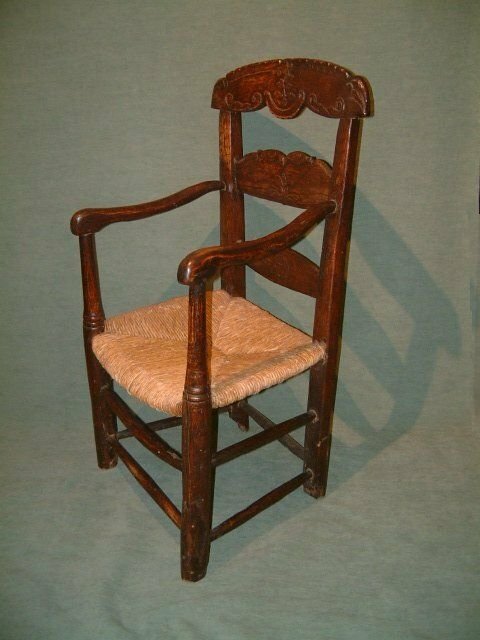 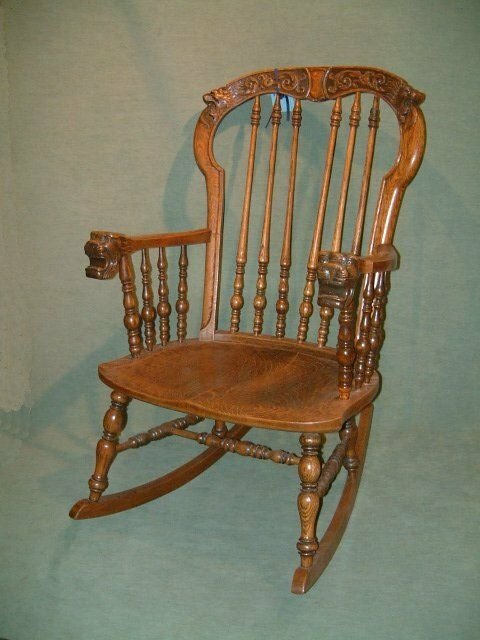 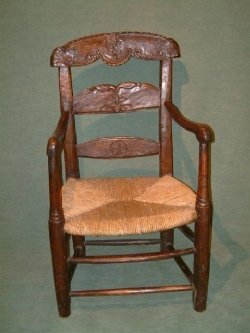 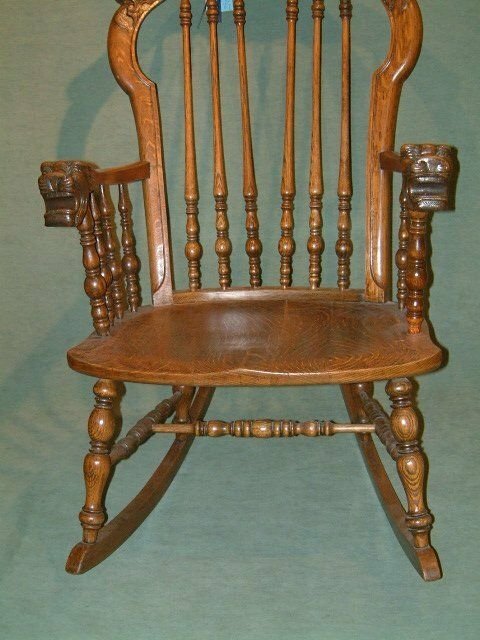 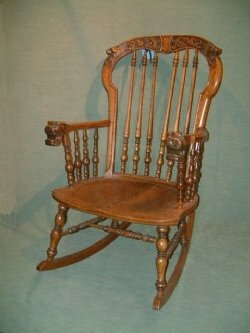 Mid 20th Century Carved Oak Rocking Chair Possibly American Lovely Carving & Turnings. 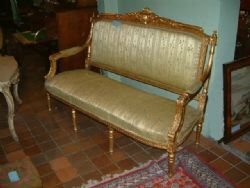 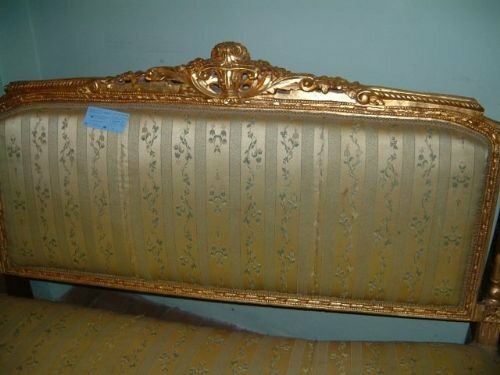 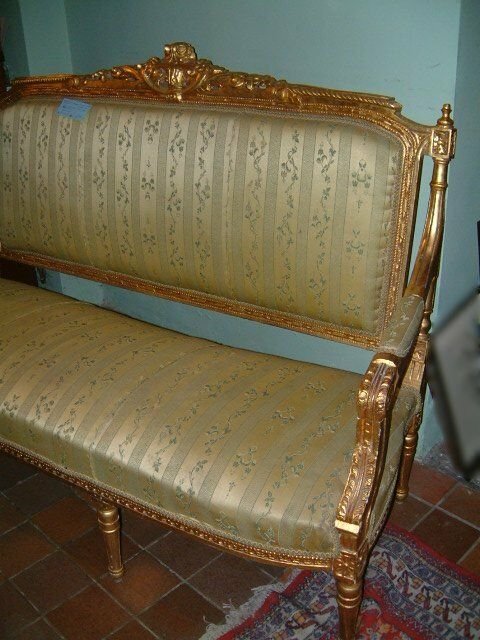 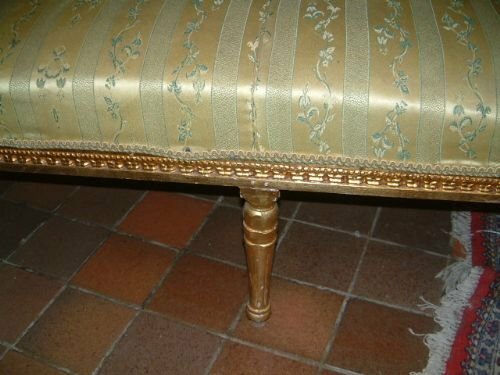 Mid 20th Century Giltwood Sofa. 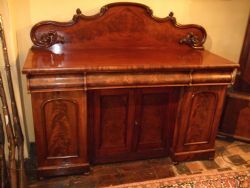 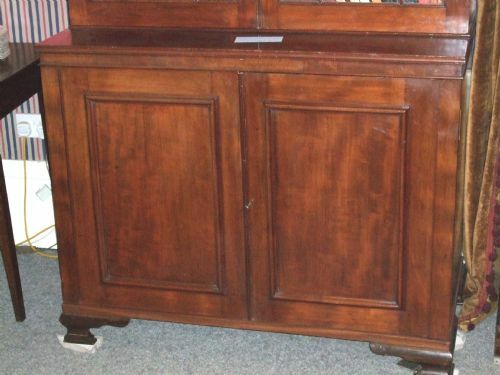 Mid Victorian Flame Mahogany Four Door Sideboard with Cellarette & Slides. 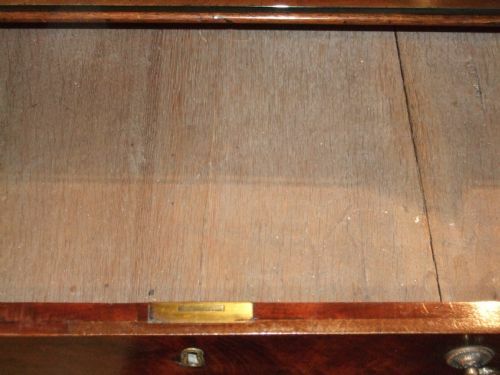 Cellarette to the Right Cupboard with Slides to the Left Three Drawers to the Top. 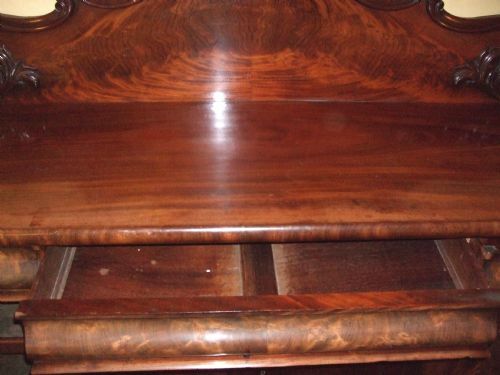 Wonderful Flame Mahogany Timbers. 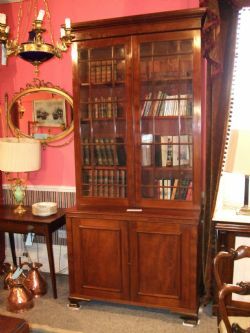 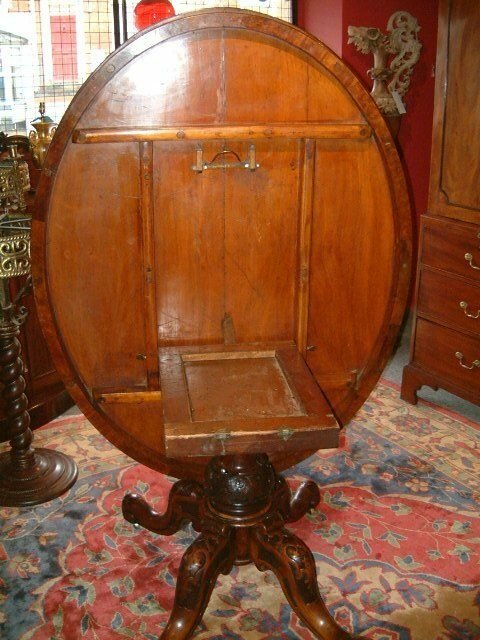 Mid Victorian Mahogany Dumb Waiter, the Larger Shelves Rotate. 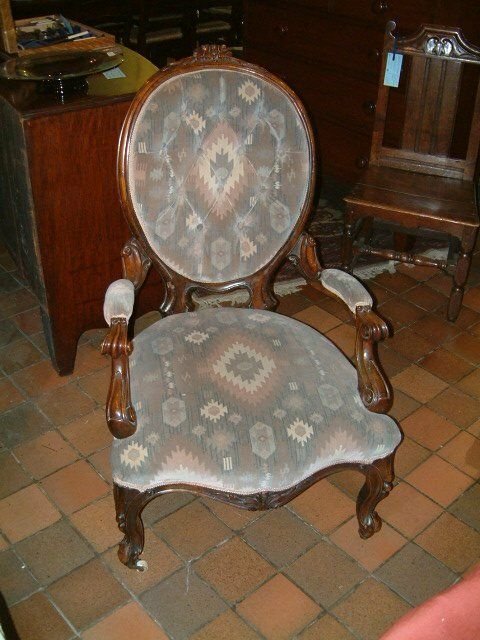 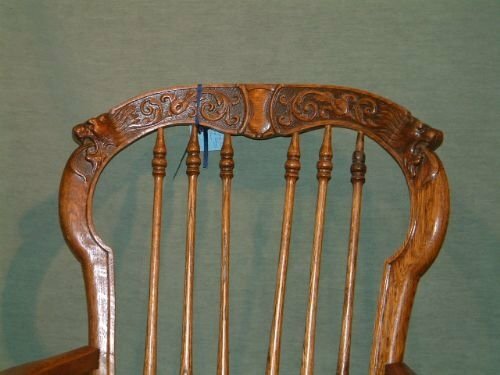 54" High x Max Width 24"
Mid Victorian Walnut ArmChair, Nice Carved Decoration. 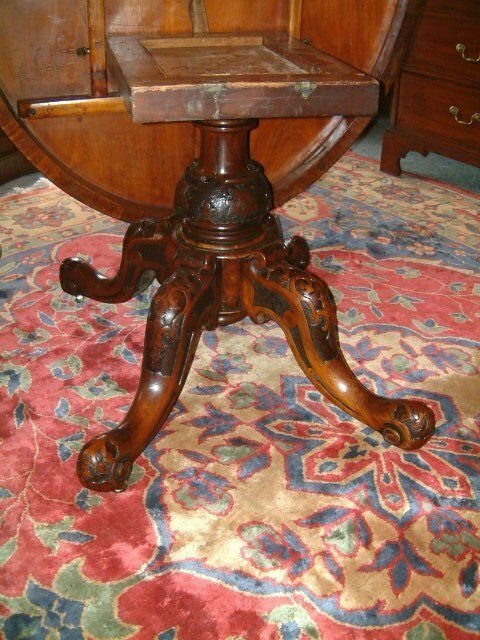 Lovely condition standing on Ogee Bracket feet, probably an apprentice piece. Nest of 19th Century Oriental Rosewood Carved Tables with Nicely Carved Features Good Colour & Patination. 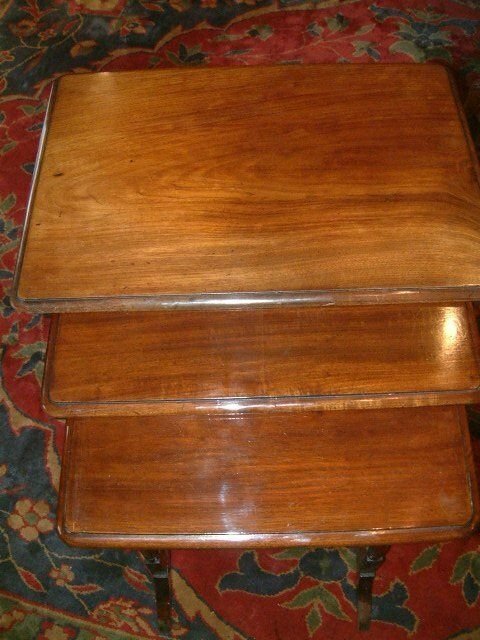 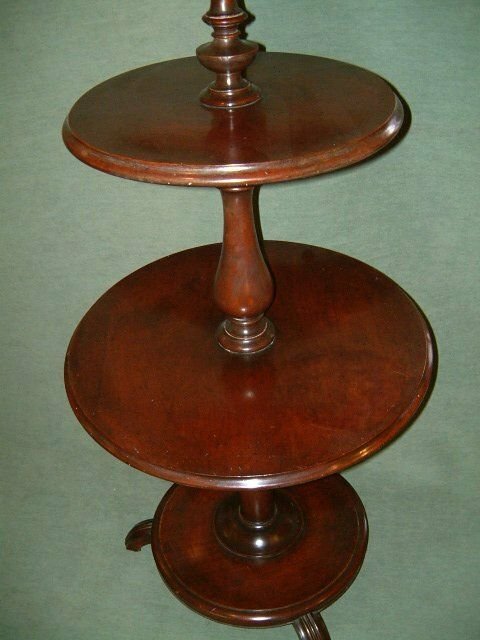 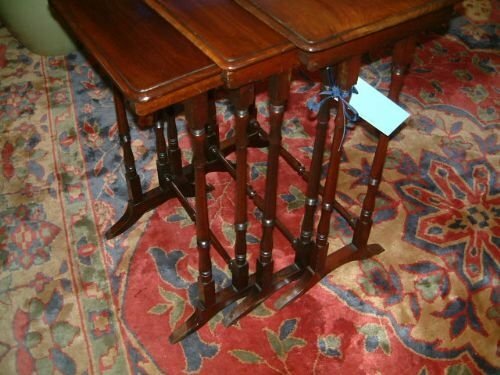 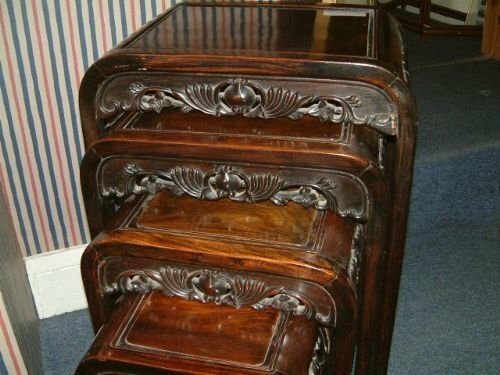 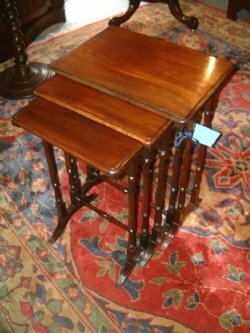 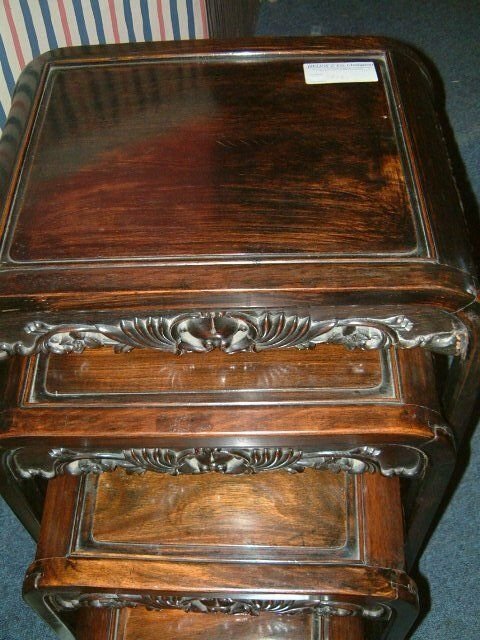 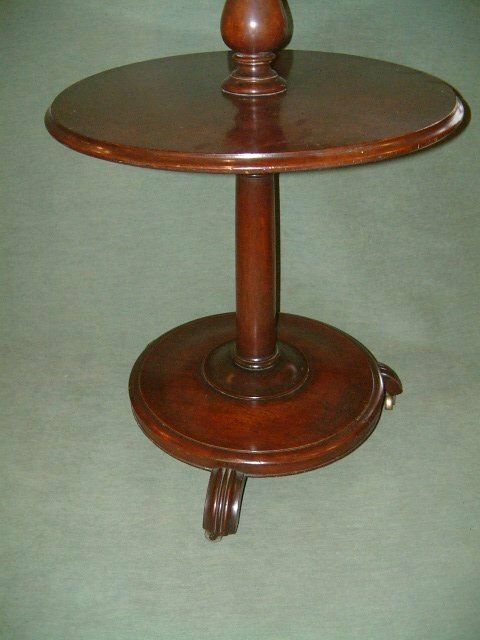 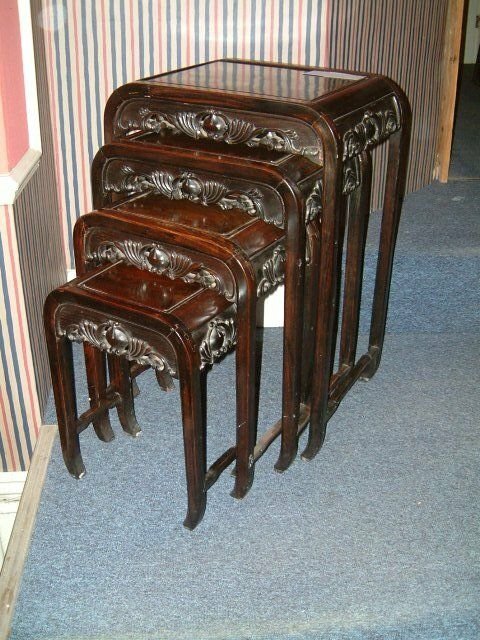 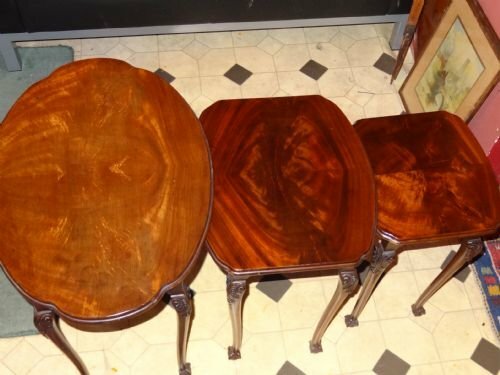 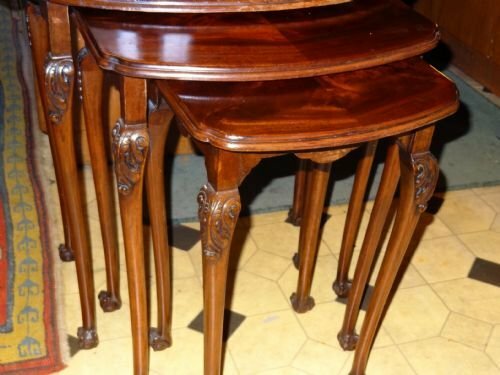 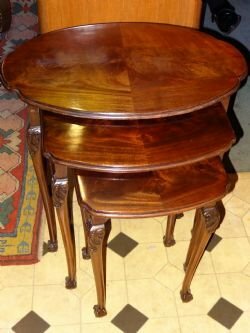 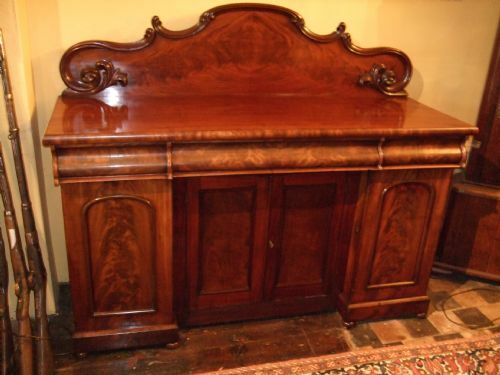 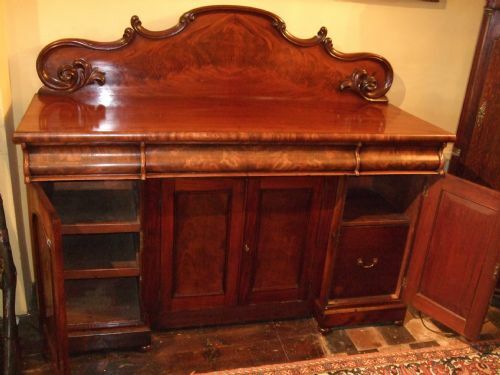 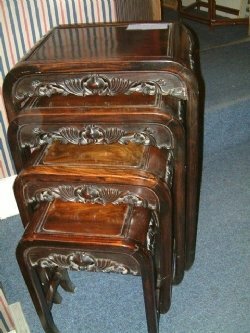 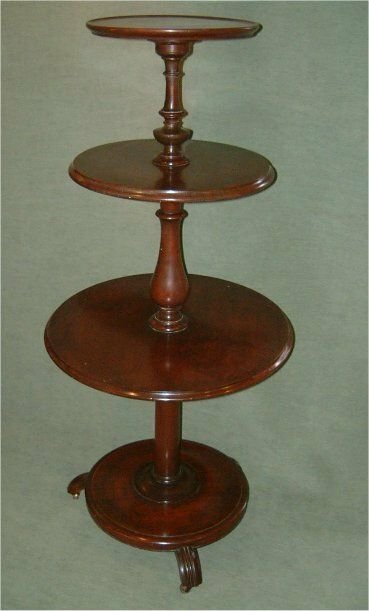 Nest of 3 Mahogany Edwardian Tables Good Quality Heavy Timber Nice Colour to The Tops. 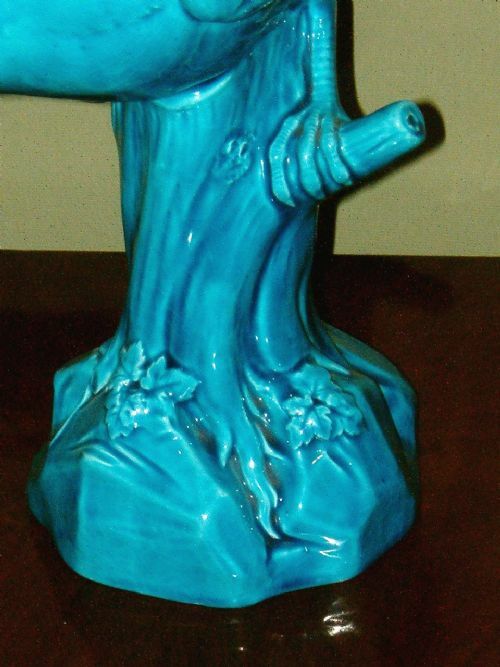 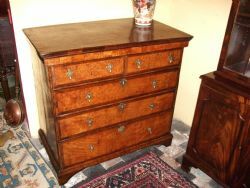 Excellent Colour & Patination & Choice of Veneers. 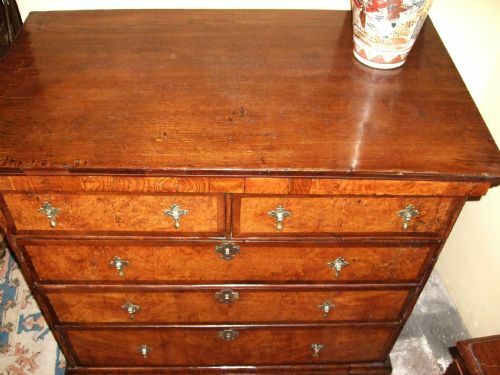 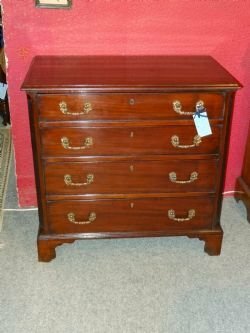 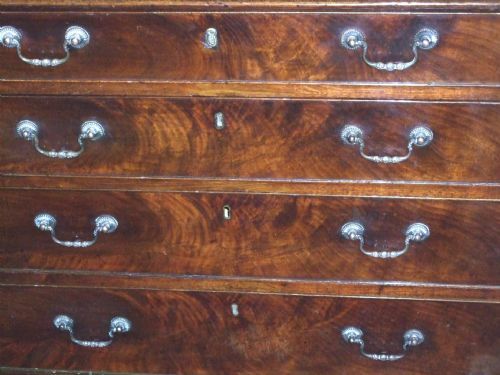 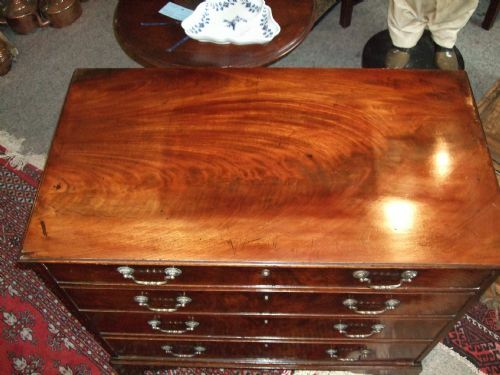 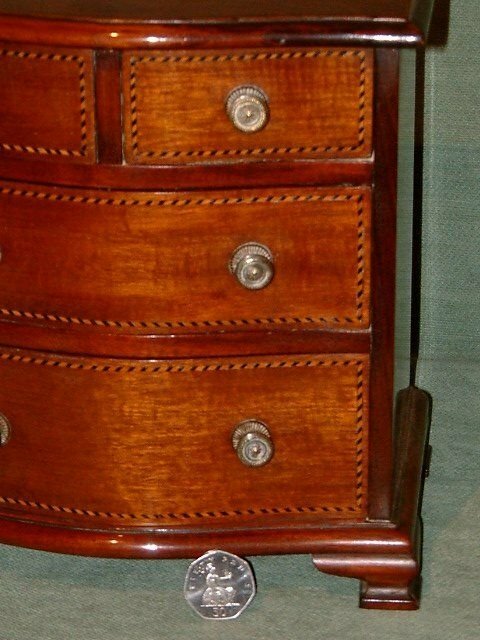 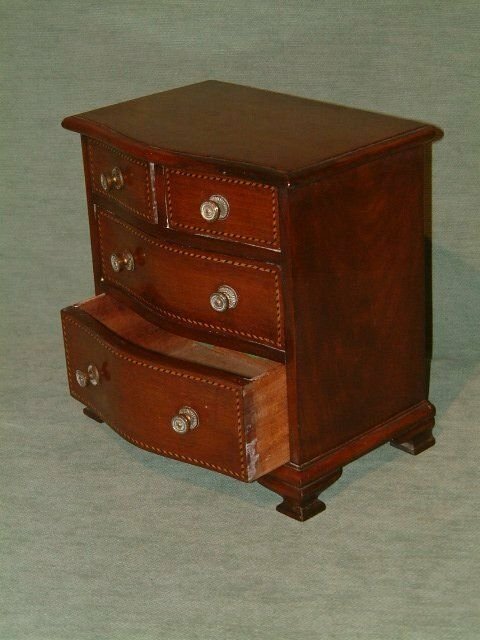 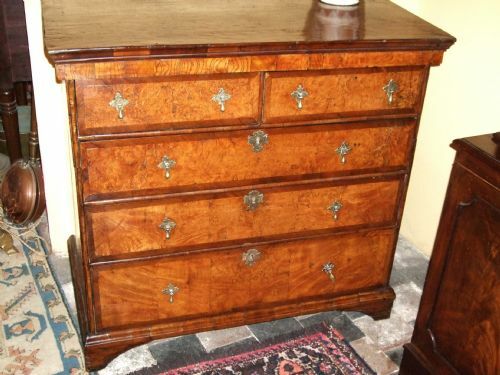 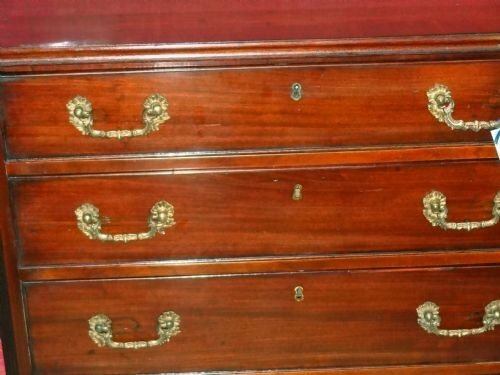 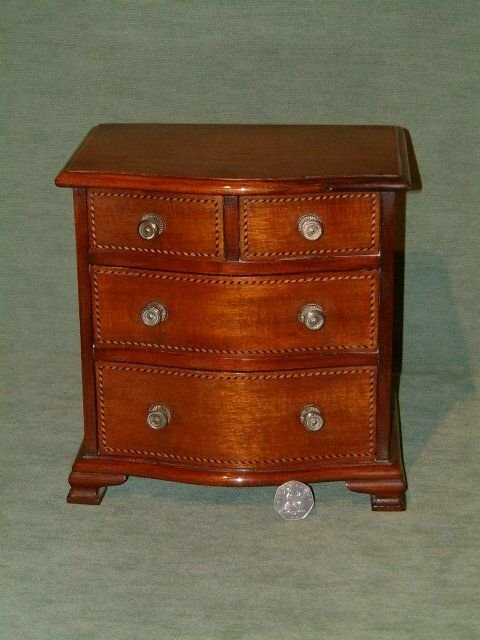 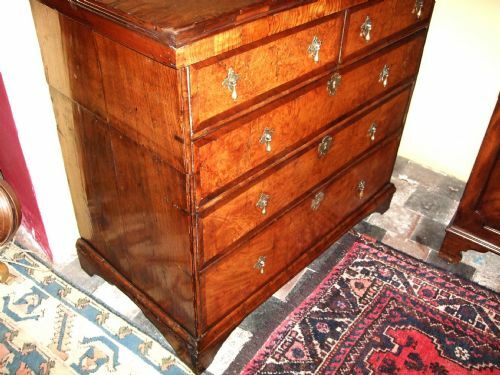 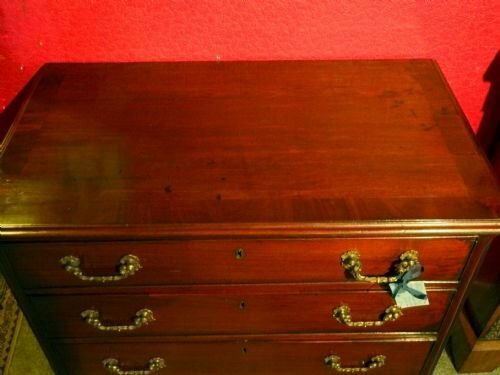 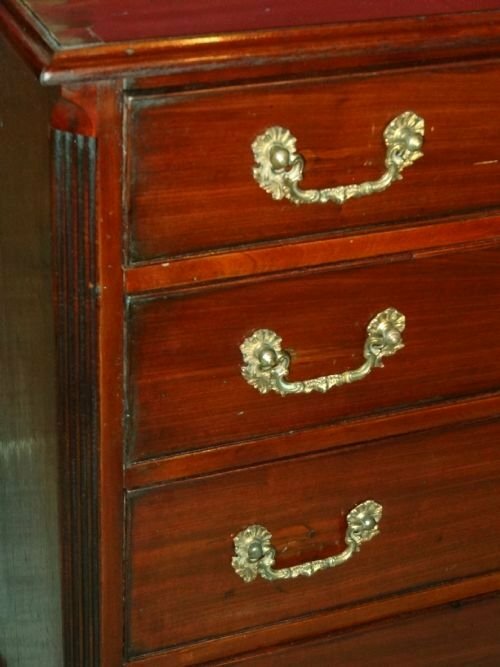 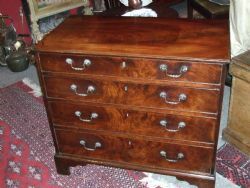 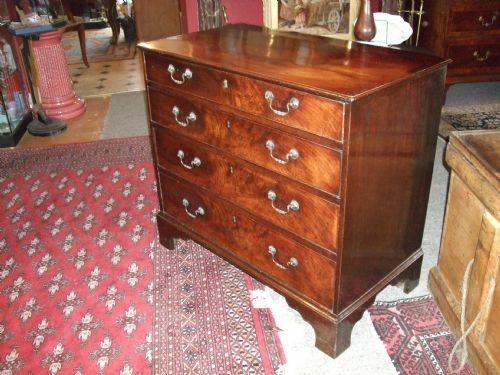 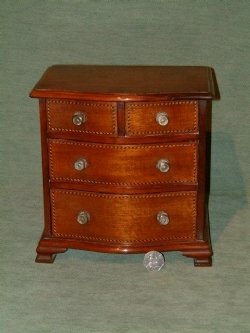 Nice Small Size George 3rd Flame Mahogany Chest of Drawers, Wonderful Flame Timbers, Faded area to Top. 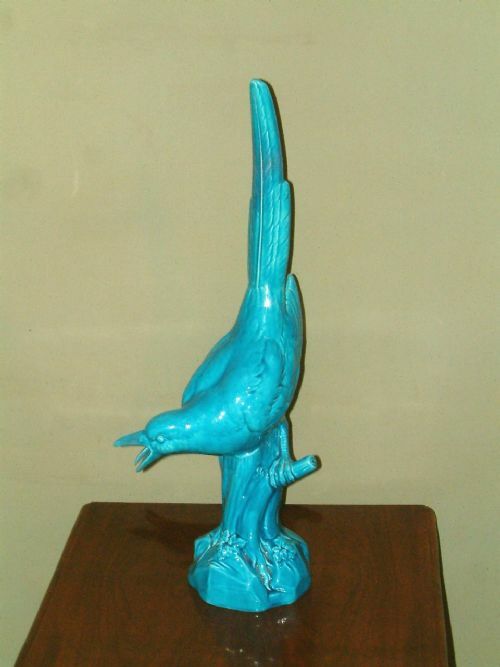 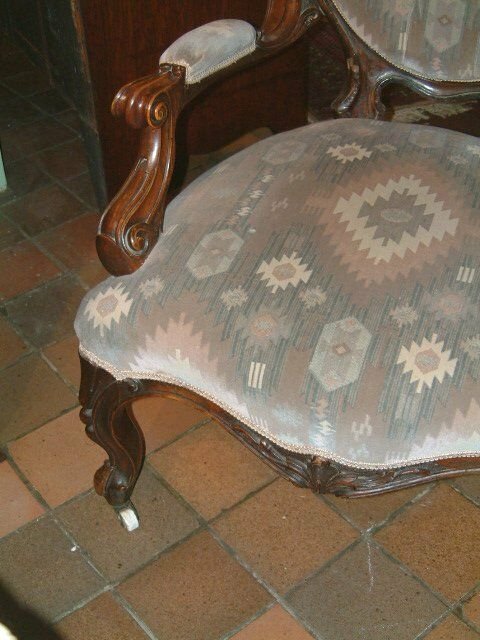 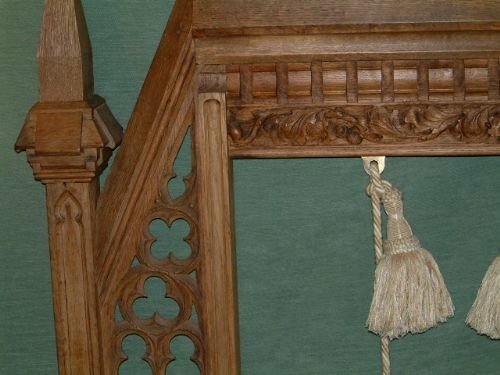 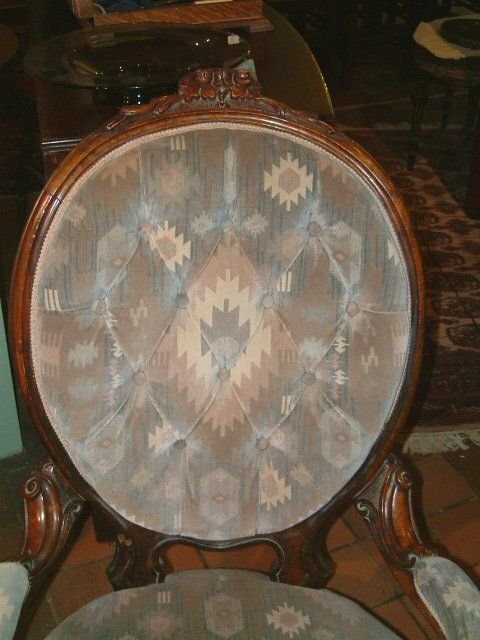 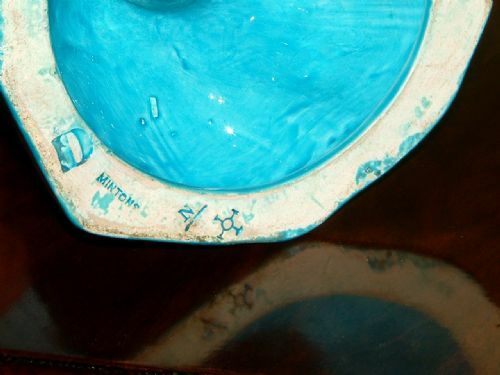 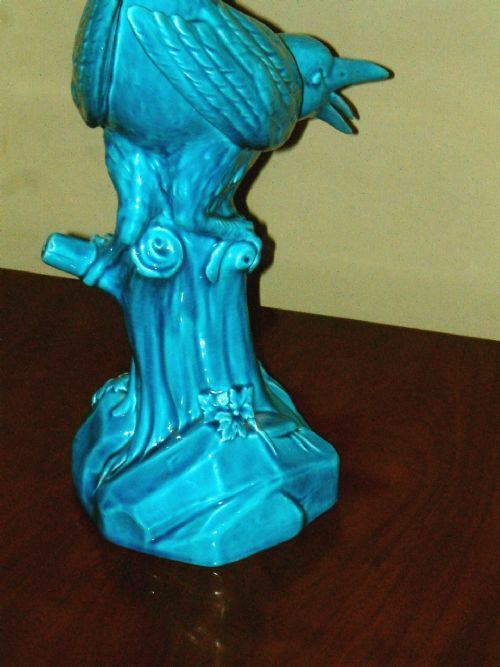 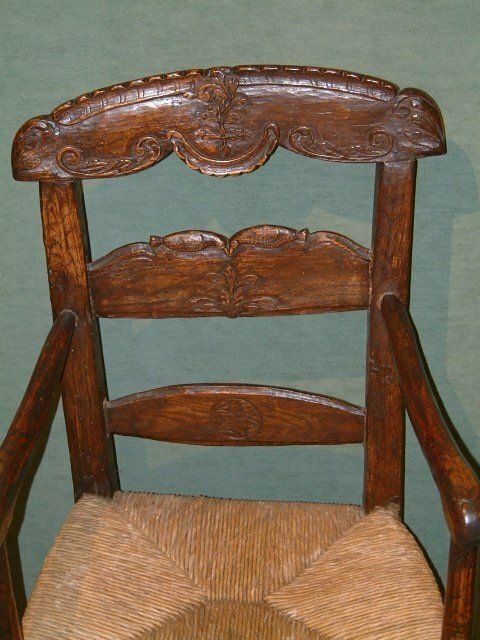 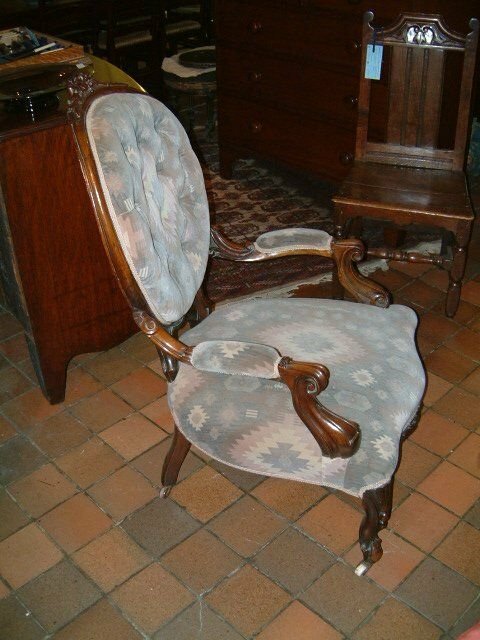 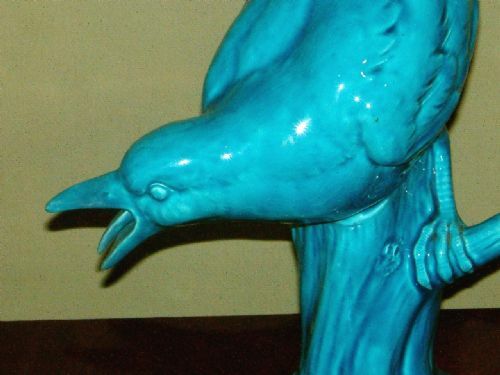 With Carved Decoration and nice patination.Rush Seat. 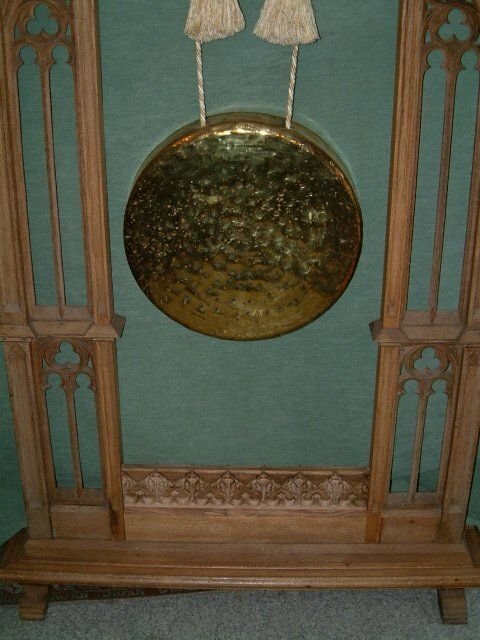 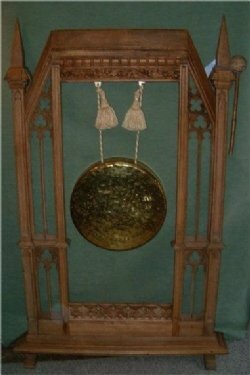 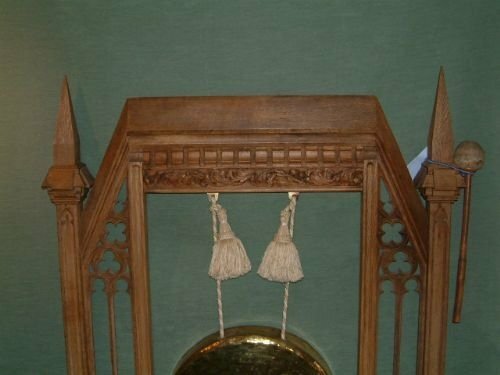 Amazing Dinner Gong with Heavy Brass Gong, and Hammer, wonderful carving, probably made from a Church Screen in the 19th century. 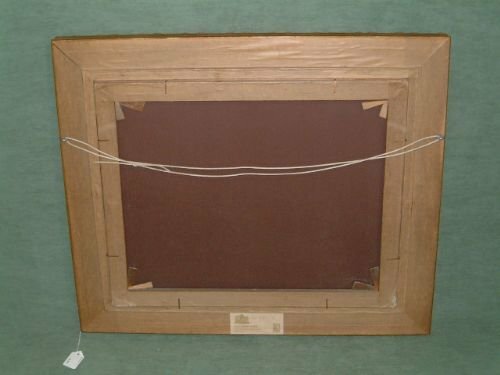 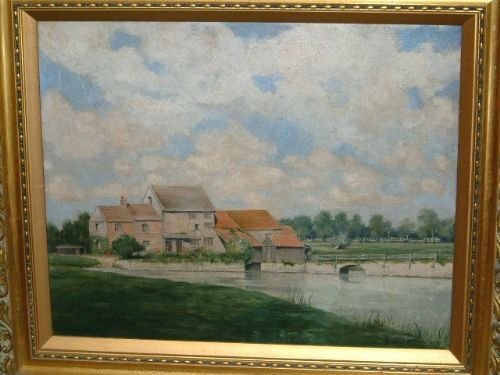 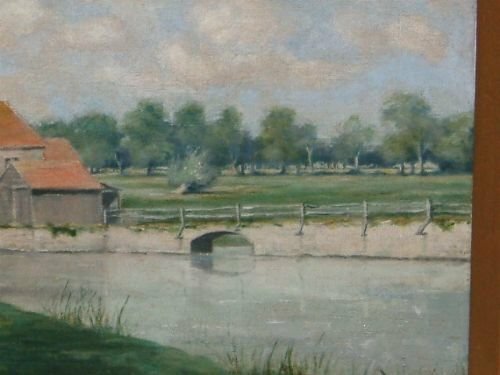 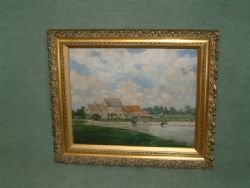 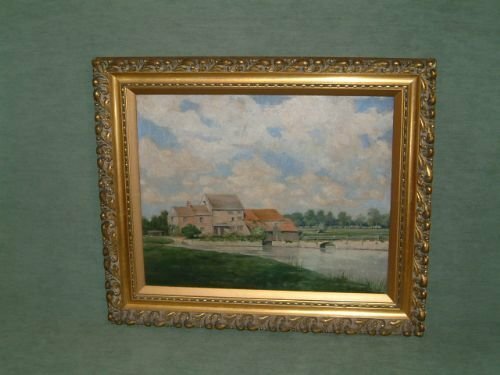 Oil on Canvas of “Billing Mill” Northamptonshire Signed Arthur J.Angel 1917. 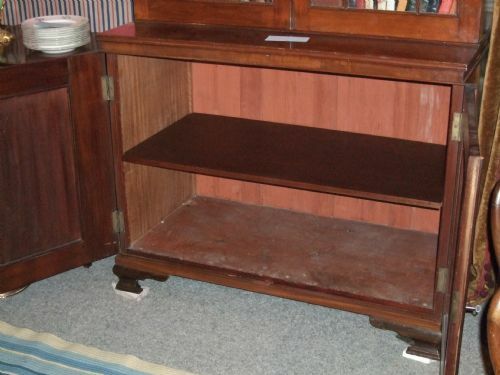 Relined in 1985 with Receipt RSJ Savage & Son Northampton. 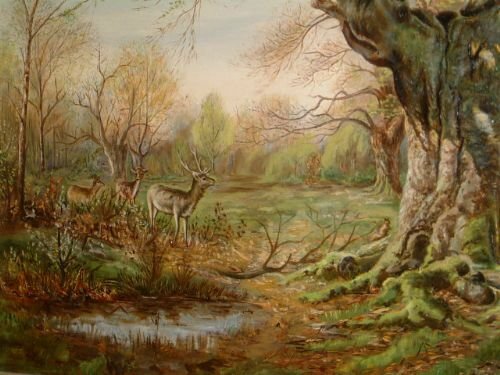 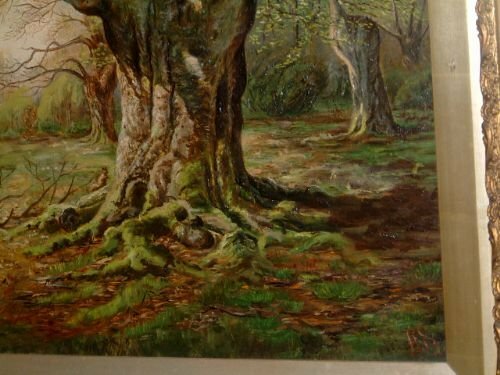 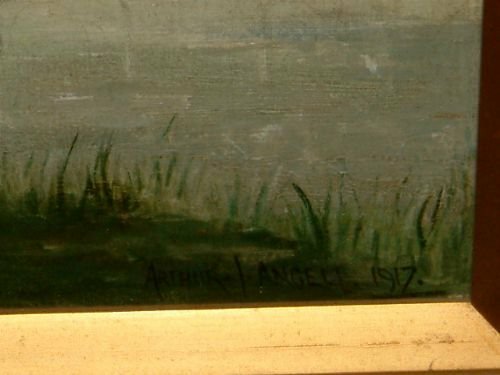 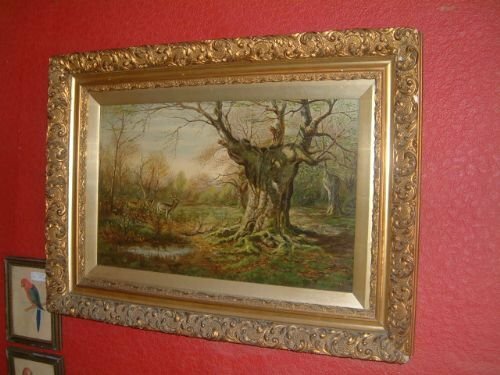 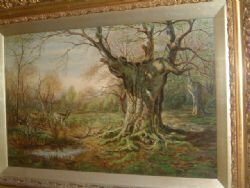 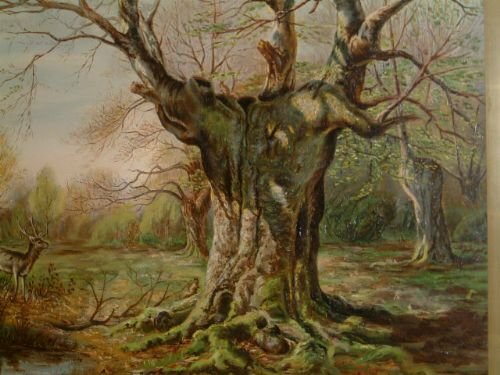 Oil on Canvas Woodland Scene with Deer 19thC Signed “LE”? 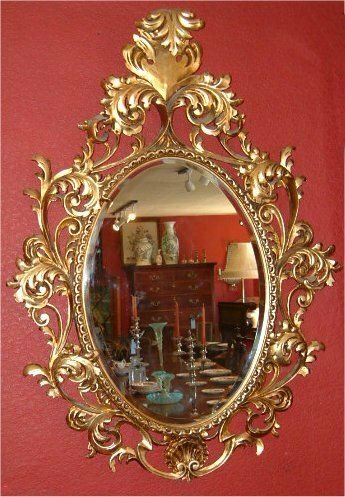 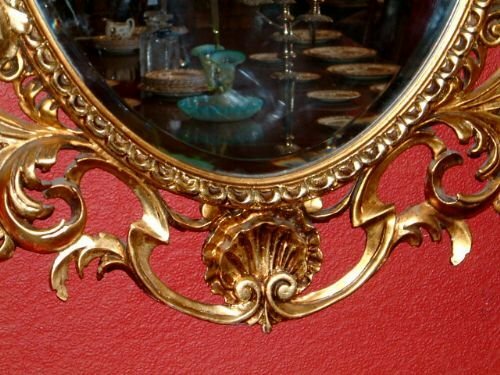 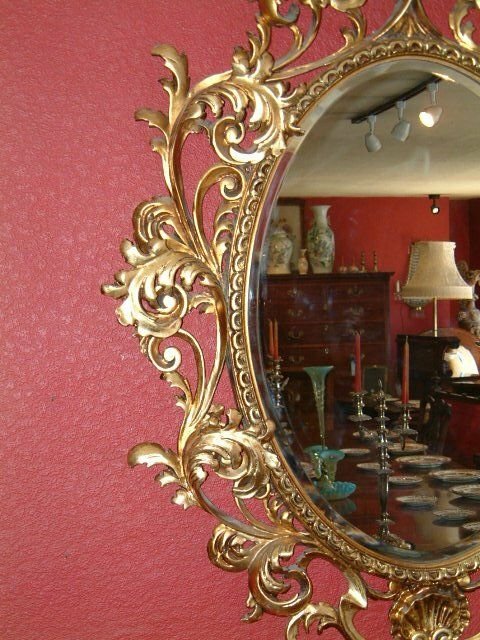 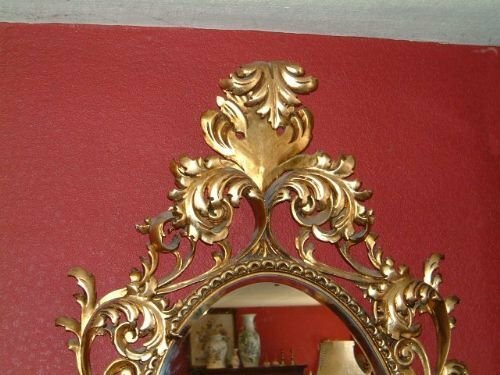 Oval Giltwood Edwardian Chippendale Revival Rococo Mirror with Bevelled Glass. 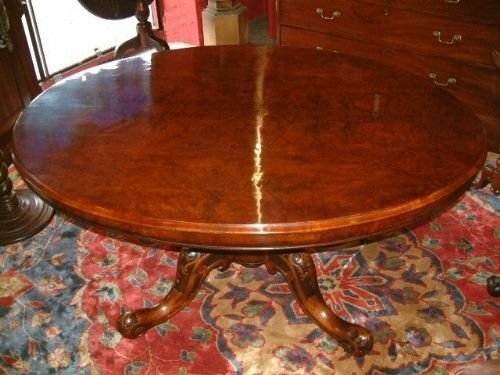 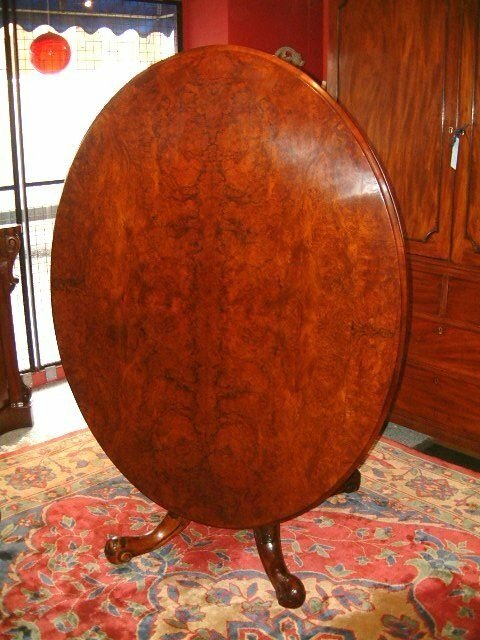 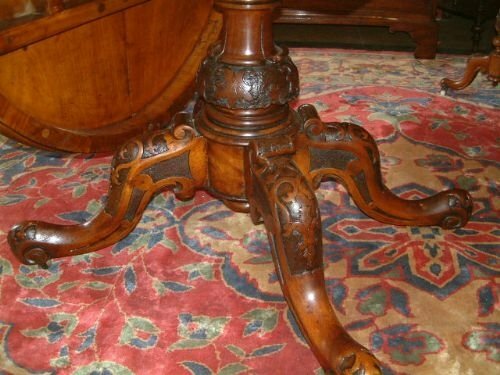 Oval Victorian Burr Walnut Pedestal Dining Table Wonderful Figuring to the Burr Top Supported on a Carved Pedestal Base.